Our Blue Laced Wyandottes originate from German and Dutch bloodlines and we have retained the correct balance of Type, markings, but most importantly, vigour. The offspring will be 50% Blue Laced, 25% Gold Laced and 25% Splash/Buff but they will all be of a very high standard and pure breeds. Origin: Was first admitted to the American Standard in 1977. There is little information regarding the exact origin of this breed. Colour: Head is red-brown, neck is also red-brown with a clear blue stripe through the centre of each feather (white shaft is permissible). Saddle; hackles to match the neck. Back is red-brown. Shoulder tip red-brown with blue. Wing bow red-brown, wing coverts evenly laced, forming at least two well defined bars; secondaries blue on inner web and broadly laced blue on the outer edge. Breast and underparts; the web red-brown with a well defined blue lacing, free from double or white outer lacing, lacing regular from the throat to back of the thighs. A shaft may be found in the laced feather and is permissible but undesirable. Undercolour dark slate. Tail: true tail feather, sickles and coverts blue. Thighs and fluff blue-slate with clear lacing round the hocks and other side of the thighs. The Blue Laced Wyandotte are yet another colour of the Wyandotte breed with an unusual and stunning looks. 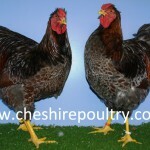 They absolutely attract attention, which is one of the main reasons why they are favourites with many chicken owners. The same as all the Wyandotte breeds they should have a rose comb, which makes them suitable for the colder climates. Moreover, this breed is found to be of excellent nature: docile, energetic, curious, faithful and family friendly. They are a great choice as they adapt well to forage over a large area as well as they can live in confinement. Additionally, Blue Laced Wyandotte chickens have become the main players on the dual purpose scene, providing both eggs and meat. All this makes them a great choice for backyard chicken keepers who want easy-going birds that are quite productive, easy to breed and can make great companion pets for their kids too. Finally, adding those birds to your mixed flock will definitely make your backyard look more outstanding and visible. The Wyandotte is a beautiful and useful breed that was named after a Native American tribe which used to live in parts of upstate New York and Ontario, Canada. The first variety of the Wyandotte family was the Silver Laced, which also originated in America, where it was standardised in 1883 (the APA Standard of Perfection). The Blue Wyandotte, however, was admitted to the American Standard in 1977. The variety was later introduced into England and the British breeders immediately perfected the lacings and ground colouring. 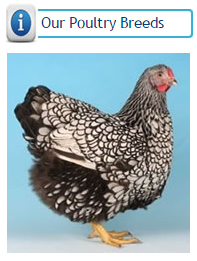 Blue Laced Wyandotte Bantam is the breed which is relatively new and the colour mixture was developed by crossing the gold laced and the white varieties, which produced the buff laced and the blue laced, first seen here in 1897. The blue colour might vary from light blue to dark blue. Until 2016, the Wyandotte breed was considered endangered and was enclosed on The Livestock Conservancy’s priority list. These birds are very beautiful and they look exceptionally cute and adorable. This is why they are popular show birds. Wyandotte bantams are miniatures of the large fowl, and the standards in every respect are the same, with the exception of weight and some scales of points. Their head and neck is red-brown with a clear blue stripe through the centre of each feather. The same colour prevails the saddle hackles and the back. Their ground colour is red-brown with clear blue markings. Their body is short and deep with well-rounded sides. They have a broad and short back with full and broad saddle rising which forms a concave arch to the tail. Their full, broad and round breast with a straight keel bone make them appear much heavier than they really are. The large fowl mature males weigh not less than 9lb (4.08kg), hens about 7lb (3.17kg) and pullets not less than 6lb (2.72kg). 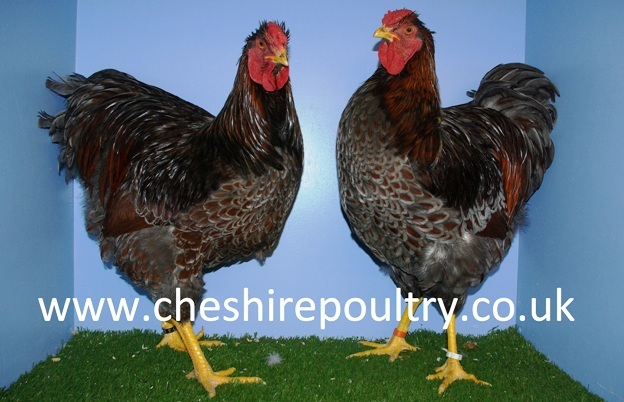 The blue bantam males do not exceed the weight of 1.70 kg and females weigh not more than 1.36 kg. Their thighs are of medium length, well-covered with soft feathers. Shanks are medium in length, strong, well rounded, good quality and free of feather or fluff. They have medium size wings, evenly laced and nicely folded to the side, a medium size tail but full and spread at the base. In both sexes the beak, legs and feet are yellow. Their eyes are bright bay, orange or red, however the bright bay eyes are preferred. They look very unusual and they will for sure be an attractive addition to your flock. Definitely they attract attention with their beautiful plumage. 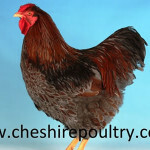 Our company, Cheshire Poultry, give you a guarantee of top-quality products with quick delivery time. We are also open to answer any questions you may have. We are passionate about what we do and faithful to our customers. 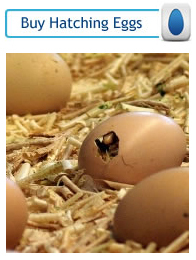 Our hatching eggs delivery methods and fertility records is second to none. You will never find such a combination between quality and price. Choosing birds from our stock, you might be absolutely sure about high quality and pretty low maintenance. 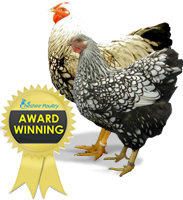 We carefully select our Wyandotte chickens and we are one of the top breeders in Europe. Our Wyandotte birds participate in the major shows and exhibitions in the United Kingdom. 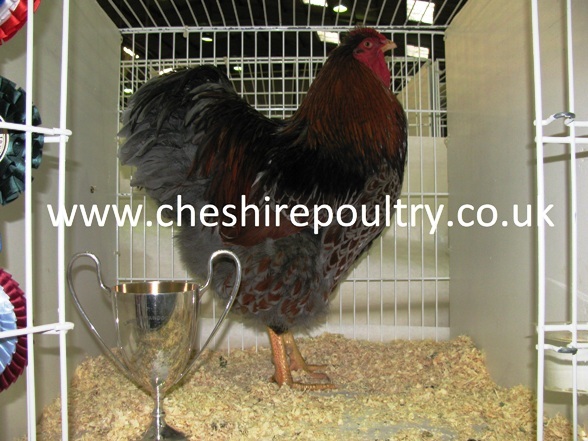 We are also winners of the most prestigious awards, our cockerels and hens were laureates of both the Federation Championship Show and the National Championship. 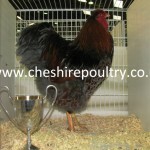 What is more, our hens and roosters won a total of 26 first places, 24 second places, 11 third places and 8 forth places. Additionally, birds from our flock were announced the best large trio and quintet on Champions Row. They are healthy, clean, well-cared and raised in a stress-free environment. All of this makes our hens the most exceptional when compared with birds from other suppliers. 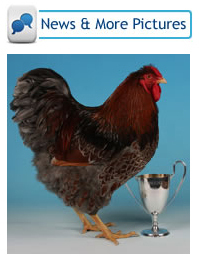 We are always on the cutting edge of poultry breeding industry. 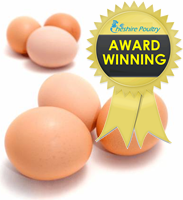 Hens from our flock lay a good number of eggs which are medium to large, round and light brown. 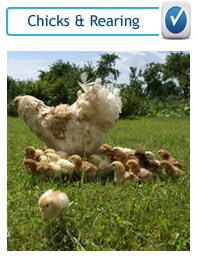 This breed would give you between 200 and 240 eggs per year, which is a good score for domestic purposes. We have also great results when it comes to fertility. Our fertility treatment is based on relaxed environment which is crucial for hens to lay fertile eggs. It makes their eggs top quality. What differs us from others is high standard of our products combined with competitive price and genuine aim to meet our customers’ needs. Thus we make a lot of effort to ensure our customers’ satisfaction. We appreciate every purchase and order with equal respect. We would be absolutely delighted if you decide to choose our products and we would serve you in a right and proper way. 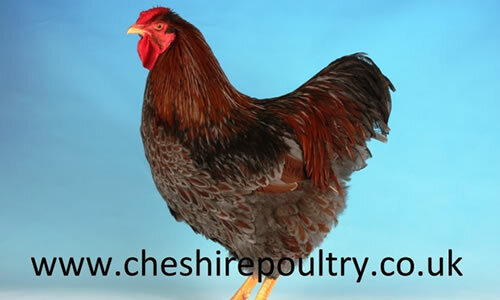 All in all, with Cheshire Poultry you do not have to worry about required service and quality. Exhibition and show stock quality Blue Laced Wyandotte hatching eggs for sale from Cheshire Poultry. 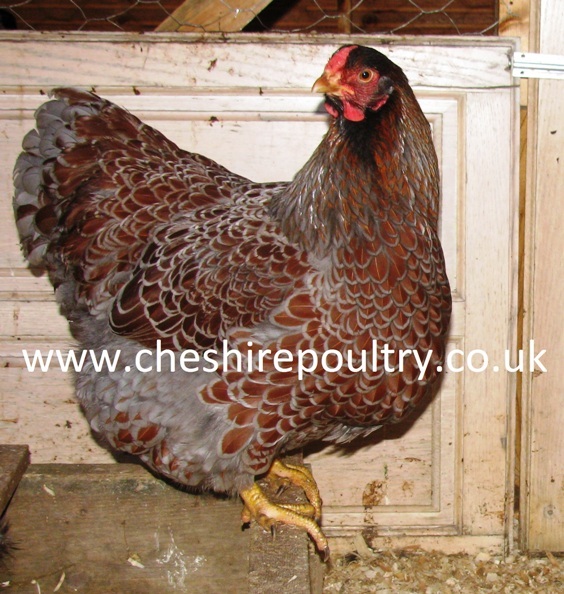 Cheshire Poultry specialise in providing Blue Laced Wyandotte hatching eggs that have a fantastic fertility record. 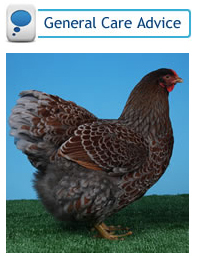 You can buy Blue Laced Wyandotte Hatching Eggs online. 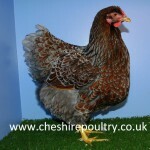 Exhibition and show stock quality Blue Laced Wyandotte Chickens for sale from Cheshire Poultry. 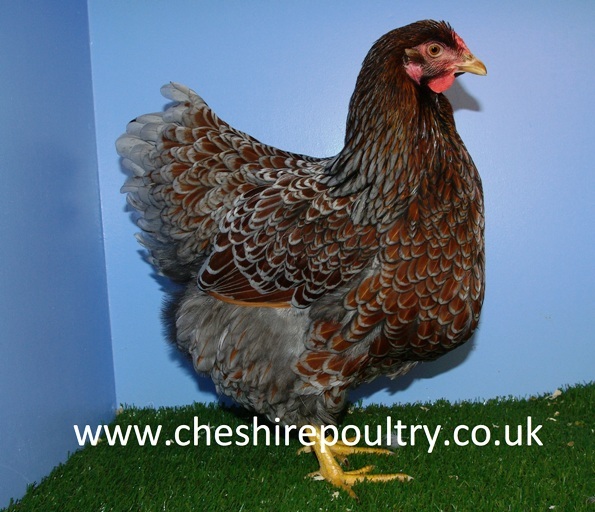 Cheshire Poultry specialise in providing Blue Laced Wyandotte as live birds for sale bred from some of the top poultry breeds in the UK and Europe. 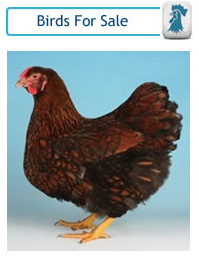 Buy Blue Laced Wyandotte chickens.